Every time an airline adds a fee for a checked bag, visitors to OneBag.com jump. Every time an airline adds a fee for a checked bag, visitors to OneBag.com jump. And so does the site’s revenue. 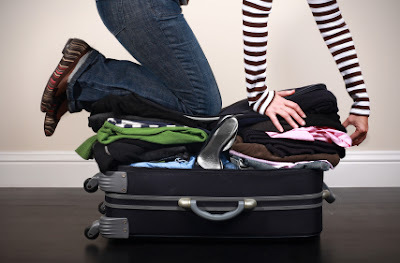 With baggage and other fees layering costs to airline tickets, previously mundane questions like how to pack, what to pack, and how can I pack everything I need into one bag, become a mantra for cost-conscious travelers. Doug Dyment, author of OneBag.com, knows everything there is to know about packing lightly, and his site shows it. Time Magazine called him the “go-light Guru,” and with Spirit Airlines still charging $45.00 for luggage stored in the overhead bins, and other airlines certain to follow, Dyment’s advice is badly needed. He has some of the best ways to creatively stow your bag the under the seat (no baggage fee), and claims he can pack for a six-month trip using only one bag that will always fit in the free 21x16x8 inches the airlines dole out. He packs real clothes: respectable outfits, a couple pair of shoes, at least a week’s supply of underwear. The site’s major categories are what to pack; what to pack it in; how to pack; packing lists and what to do before you go and after you arrive to insure you’re traveling as lightly as possible. He has lots of advice (“the best souvenirs are friendships and photographs”) and links to suppliers of clothes, luggage, books and travel resources. • Make a packing list (he tells you how) and cut it. Strive for mobility (a smart phone not a lap top), and bring only clothes that coordinate with each other. • Don’t fold. Bundle-wrap clothes to prevent wrinkles and save space. The site offers a tutorial. Are you a problem packer? Prev Article Prev Article Pay To Pee?